Scott Young, DDS Contents Lee M.
This patient had severely worn down teeth and had no enamel on the lingual side of his teeth. He also had gum recessions and abfractions with a collapsing bite on the majority of his teeth. 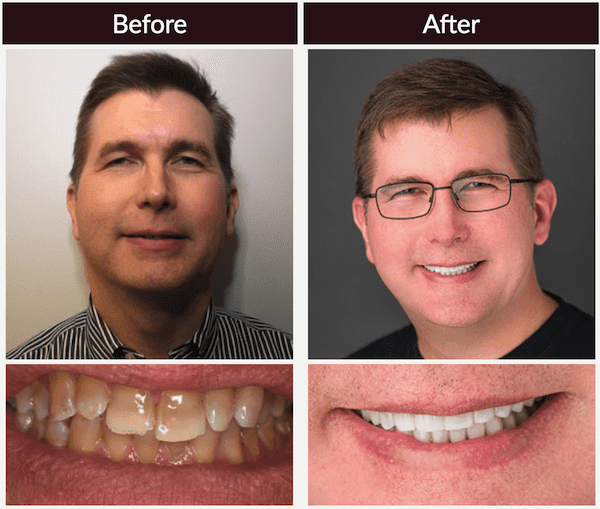 In order to help him get the smile he wanted we put in a full upper porcelain veneer arch with a lower fixed orthotic. We also added in new porcelain restorations on his lower teeth.